Finally...An adjustable wall mount bike rack designed to fit the frames of many different bikes (mens, womens, childrens, etc) Made from welded steel construction with a soft rubberized coating ensures your bike will stay safe and protected. Our Rack folds upward securely to minimize space when not in use. Includes wall mounting hardware secures your bike safely to the wall. Comes with a set of screws for installation on stud mounted wall. 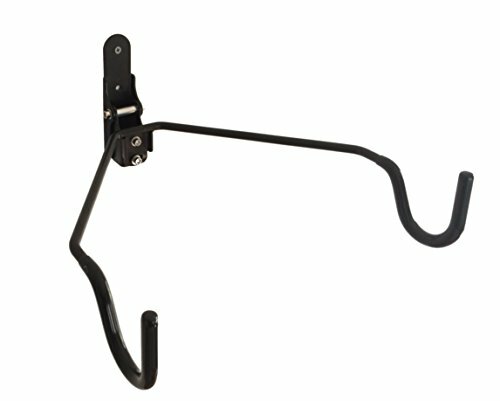 (It is HIGHLY recommended to mount the rack to a wall stud to avoid poor installation support). ALL MOUNTING SCREWS and Anchors are INCLUDED! It is highly recommended to install the racks to a wood stud. If you have any questions about this product by Coastal Provision, contact us by completing and submitting the form below. If you are looking for a specif part number, please include it with your message.